This beautiful dinner set includes placemats, chopsticks with covers, napkins and coordinating napkin rings. 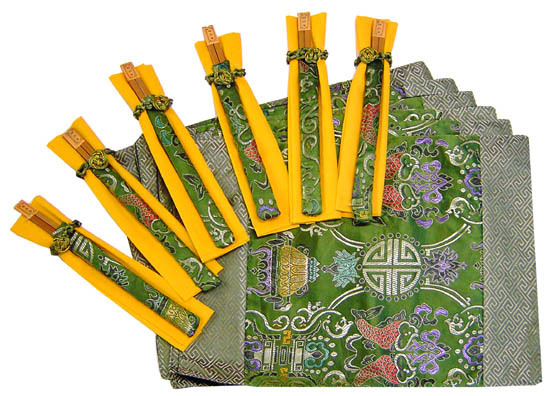 The placemats are decorated with traditional Chinese good fortune, wealth and longevity symbols. Comes in a set of 6. Perfect as a gift.